Do you have a Fearful, Aggressive, or Reactive Dog? Are you in Salem or Keizer, Oregon? You’ve come to the right place! At Lucky Leash, our goal is to improve your dog’s behavior one step at a time. Click below to get the training your dog needs today! Weather Alert: At times of inclement weather (snow, ice, moderate-to-severe thunderstorms, severe wind storms, or excessive heat) all sessions for that day will be canceled and can be rescheduled at your earliest convenience upon return of normal weather conditions. This is for the safety and humane treatment of both dogs and owners. If you are uncertain about any weather condition, feel free to text me for specifics on the morning of your appointment or the night before. Thank you for understanding. All of these issues and more behavioral issues can make life with your dog very difficult. I will work with your dog beginning at whatever stage in life he or she is at. 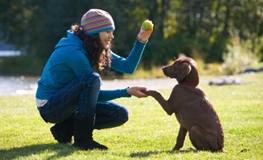 Behavior modification is not an overnight process, but your dog has an opportunity to change. Change can happen with patience, understanding, and commitment. I do not use any correction collars. I use treats, games, toys, praise, and life rewards. We want to keep a positive experience so your dog enjoys learning and changing. My central base is Salem, Oregon; but if you live in Keizer, Independence, Aumsville, and beyond, just call and we’ll figure out any travel problems so that you can help your dog. Want some great tips and updates? At Lucky Leash, we love staying in touch with our clients and their furry friends. Click below to sign up for our mailing list to get updates, tips, and announcements about new things that we are doing! 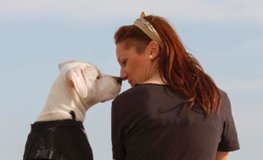 We offer classes to help your dog with fear, aggression, and other behavioral issues.